Carrie Underwood Reveals “Heartbeat” Music Video Tuesday! See “Heartbeat” Teaser Clip Now! 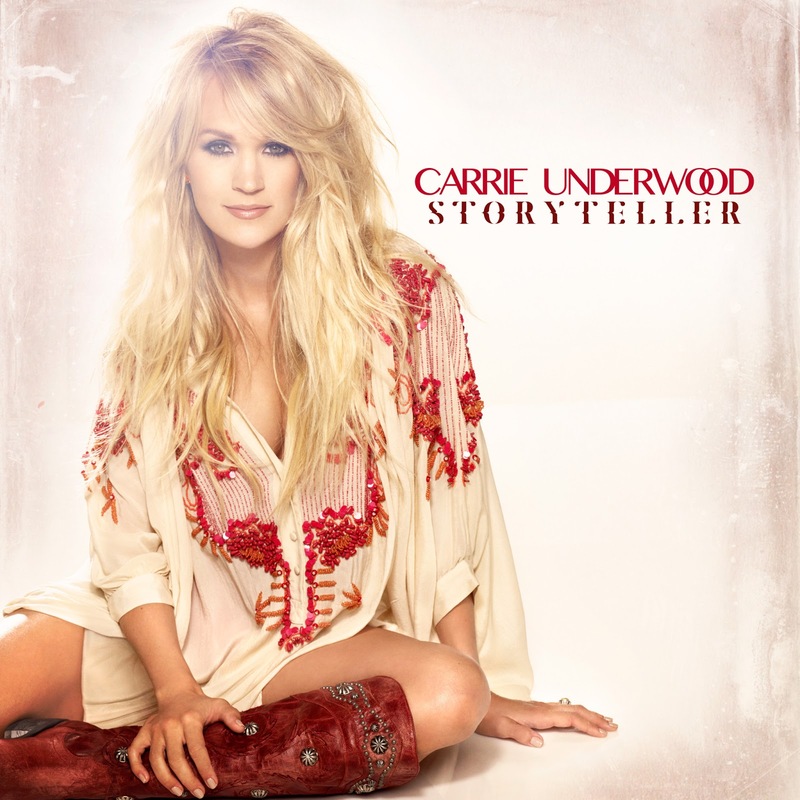 Underwood’s 2nd Single from Storyteller Arrives as Country Radio’s Most Added New Song! NASHVILLE, TN, November 30, 2015 -- The music video of superstar Carrie Underwood’s “Heartbeat,” her second single from her #1 selling Storyteller album, can be seen for the first time tomorrow, December 1st. The exclusive broadcast sneak peek of the clip can be viewed on NBC’s Today, while its exclusive premiere can be streamed on Yahoo.com/Music starting at 10:30 am Eastern Time on Tuesday. NASHVILLE, TN – (Nov. 30, 2015) – Jana Kramer has even more to celebrate as 2015 draws to a close: hit single “I Got the Boy” just reached Gold status. The Elektra Records Nashville/Warner Music Nashville recording artist’s first single from new album thirty one reached the RIAA certification after selling 500,000 copies and is nearing the Top 10 of the Billboard and Mediabase country singles charts. Just more great news in a year that’s been full of milestones. Nashville, TN (November 27, 2015) –The Academy of Country Music and the Country Music Association Entertainer of the Year, Luke Bryan took the stage on Thanksgiving at AT&T Stadium to kick off The Salvation Army’s 125th Red Kettle Campaign with a LIVE nationally televised halftime performance during the Dallas Cowboys game against the Carolina Panthers on CBS. The performance marked the nineteenth year of the partnership between the Dallas Cowboys and The Salvation Army. 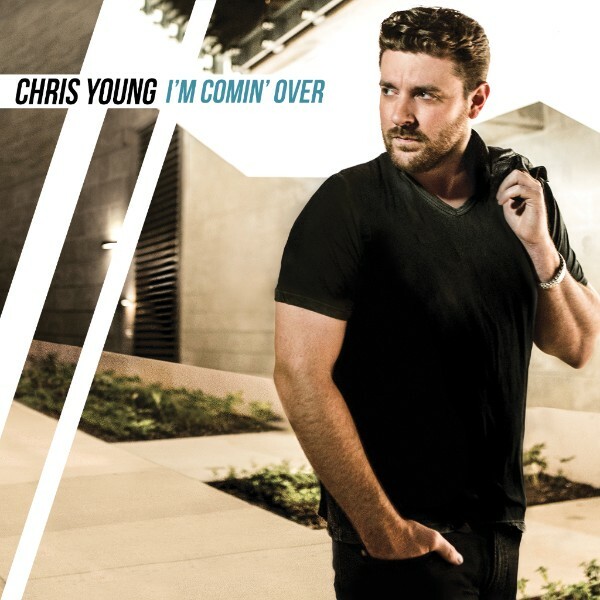 Nashville, TN - November 23, 2015 - RCA Nashville’s Chris Young earned the seventh #1 single of his career last week with the RIAA Gold-certified title track to his I’m Comin’ Over album, and now, his first co-produced collection debuts at #1 on Billboard’s Top Country Albums chart, with first-week sales of 57,147 according to Nielsen Music. Alan Jackson's "Home For Good"
Nashville, TN (November 23, 2015) – Country Music Icon Alan Jackson is partnering with Ply Gem Industries as the ambassador for their “Home for Good Project” to build more than 300 homes across the U.S. with Habitat for Humanity. As ambassador, Alan will help raise awareness through his fan base, social media following and support in a local Builders Blitz event in Nashville, scheduled to coincide with the 2016 CMA Music Festival in June 2016. The “Home for Good Project” is grounded in Alan’s song “You Can Always Come Home” from his recently released album Angels & Alcohol. The song is the anthem that will be played throughout the program to remind individuals the importance of having a place to call home. 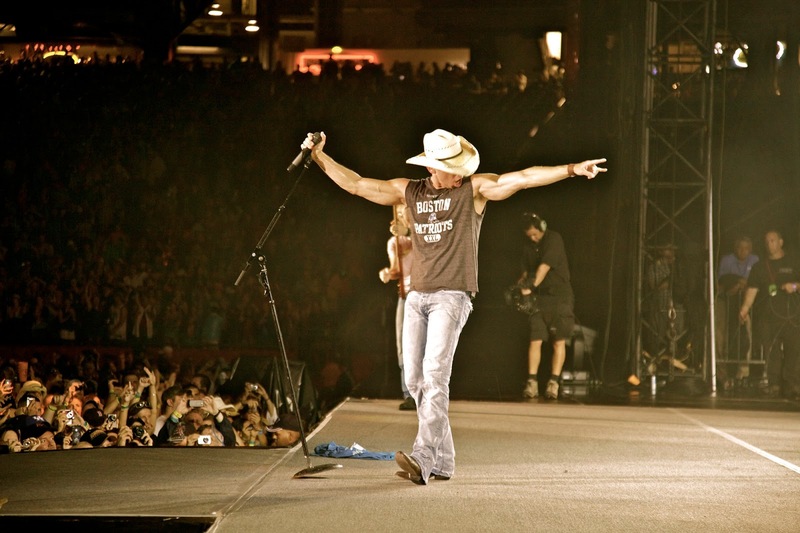 NASHVILLE, Tenn. – (Nov. 19, 2015) – With over a year in the making, Kenny Chesney’s Big Revival 2015 was a tour designed to get him back to the fans in a big way after spending 2014 focusing on music. When the Billboard Touring Awards were given out at the Roosevelt Hotel in New York City, the eight-time Entertainer of the Year received his eighth Billboard Top Package Award. 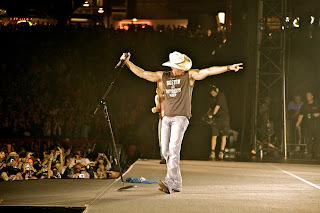 “We put a lot of thought into every year’s tour,” Chesney said of the honor. “It’s not just about bringing the music out to the No Shoes Nation, though obviously that’s what this relationship has been built on. It’s about how to create an experience every year that stands out, that’s worth remembering, that gives people a chance to love life, love music and have fun. Lee Brice will celebrate the New Year by launching his "Life Off My Years" concert tour with Tyler Farr on Thurs., Feb. 4. The "evocative, rough-edged singer" (New York Times) has invited his good friend and musical compadre Tyler Farr to join him on this 21-city trek. Farr, who released his sophomore album, Suffer In Peace, in April, enjoyed back-to-back No. 1 hits this year and has previously opened on tours with Jason Aldean, Florida Georgia Line and Brantley Gilbert. NASHVILLE, Tenn. (November 18, 2015) – There won't be a dry eye around the television when "Dolly Parton's Coat of Many Colors" airs December 10 on NBC. 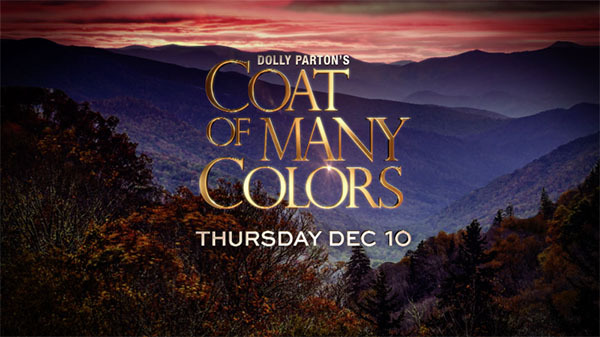 Parton and NBC released a three-minute preview of the upcoming TV-movie based on the Country Music Hall of Famer's 1971 hit "Coat of Many Colors." “My favorite song that I’ve ever written tells a true story from my childhood about a little coat that my mama made for me,” Parton said while introducing the clip. Parton’s mother initially sewed the the jacket as a blanket for her unborn baby, but she reworked the piece for her youngest daughter. 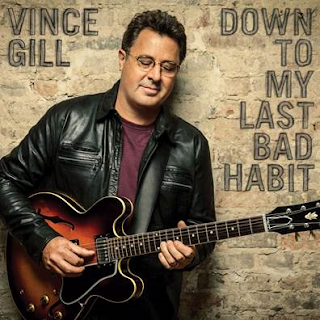 NASHVILLE, Tenn. – GRAMMY Award-winning MCA Nashville country star Vince Gill revealed via NPR his new album Down To My Last Bad Habit is set for release on February 12. As part of the announcement, NPR has an exclusive first-listen of Gill’s lead single, “Take Me Down” featuring Little Big Town (available HERE). Gill wrote/co-wrote, co-produced and is a featured musician on all 12 songs on Down To My Last Bad Habit. NASHVILLE – November 16, 2015 – Reigning CMA and ACM Entertainer of the Year Luke Bryan will return to Mexico in 2016 for the second annual destination event, Luke Bryan’s Crash My Playa, taking place January 22nd – 26th in Riviera Maya. Only a limited amount of event packages are still available. Chris Stapleton’s Traveller continues to dominate on the Billboard Top 200 album chart. His CMA Album of the Year sold 97,000 copies in pure album sales, but pushed 124,000 equivalent album units, which includes traditional album sales, digital tracks and streaming, to land at No. 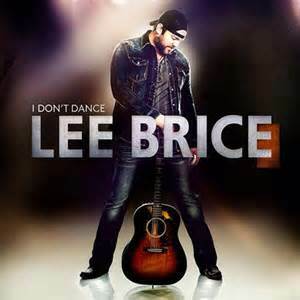 1 on both the overall and country charts. LOS ANGELES (Nov. 16, 2015) – Innovators, renegades, villains, mothers, influencers and music superstars, Dixie Chicks, announced today a return to touring with their upcoming DCX MMXVI World Tour. The multiple Grammy Award®–winning and multi-platinum selling band will kick off their highly anticipated North American tour, produced by Live Nation, on June 1, 2016 at the Riverbend Music Center in Cincinnati, Ohio. DCX MMXVI World Tour will visit over 40 cities throughout the U.S. and Canada with dates lined up in New York City, Los Angeles, Toronto, Chicago, Vancouver, Washington DC, San Francisco, Philadelphia, Boston and more. A full list of dates is below. The North American leg of the DCX MMXVI World Tour immediately follows the group’s previously announced European tour shows. Nashville, TN…November 13, 2015…More than a year in the making, Chris Young’s highly anticipated fifth studio album, I’m Comin’ Over, is now available for purchase and digital download. In support of the new record, Chris will be performing the album’s lead single and title track live on NBC’s Today on Monday, November 16th in the 8:30am ET segment and will also perform during the 10am ET hour with Kathie Lee & Hoda. Adding to the excitement of release date, fans can also pick up a copy of Nash Country Weekly, as Chris is featured as this week’s in depth cover story. November 9, 2015…Nashville, TN…With just days to go until the release of his new album I’m Comin’ Over on November 13, fans are invited to make a date with Chris Young in the new year and join him on the 2016 “I’m Comin’ Over” Tour, presented by AEG Live. Young will extend his headlining tour into 2016, inviting powerhouse vocalist and “Think Of You” duet partner Cassadee Pope to join as special guest, opening thirteen shows beginning January 21. 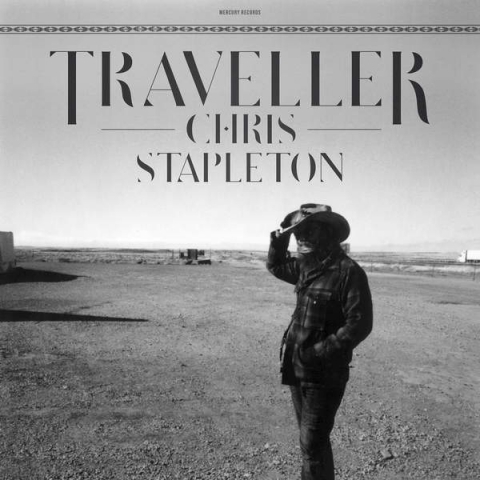 NASHVILLE, Tenn. (November 9, 2015) – Mercury Nashville’s Chris Stapleton released his debut album, Traveller, to overwhelming critical acclaim in May and it is the best-selling first week album by a debut country artist in 2015. Last week 13.6 million viewers tuned in to the 49th Annual CMA Awards and saw the soulful singer in a remarkable on-stage collaboration with superstar and good friend Justin Timberlake. In addition, Stapleton took home awards for New Artist of the Year, Male Vocalist of the Year and Album of the Year. This marks the first time in CMA Awards history for a New Artist of the Year winner to also collect Male Vocalist of the Year and Album of the Year. Almost instantaneously, Traveller rocketed to the top of the album sales charts where it currently remains on both the Billboard 200 and country albums chart with 153,428 units sold and 177,199 equivalent album sales this week making it the fourth biggest sales week for any country album in 2015 and the first debut country album to hit the top of the Billboard 200 in four years. “Tennessee Whiskey” is the best-selling digital country song of the week with 131,206 downloads sold. Fans can purchase Traveller HERE. David Nail: Twins For Christmas! 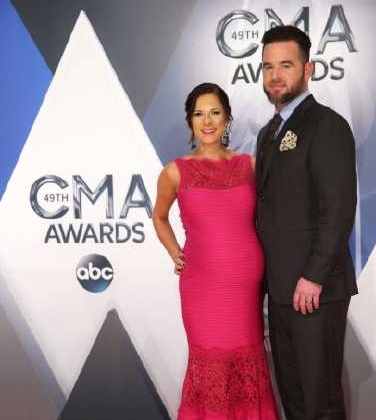 David Nail & Wife Are Expecting Twins For Christmas! When David Nail and his wife left their house for the CMA Awards Wednesday night, David sent out this Tweet: "Headed down to the CMA Red Carpet with a couple surprises up my sleeve." The "surprises" weren't actually up his sleeve. He & his wife are expecting twins! A boy and a girl, and they're due in mid-December, just in time for Christmas. At the taping for the CMA Country Christmas TV special, David said he was looking forward to spending his first holiday with children: "It will be the best Christmas that my wife & I have ever had. It's been a long time in the making, and we're extremely excited, ready to see what God has in store for us. Hopefully they'll look like their mama and not like me." Nashville, TENN. – RCA Nashville’s Old Dominion releases their highly anticipated debut album Meat and Candy, available everywhere today. 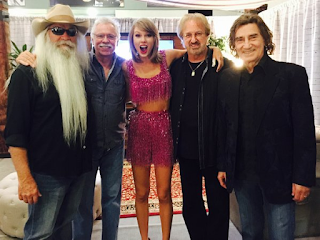 The GRAMMY Award-winning, Shane McAnally, produced the album that features the RIAA Gold certified “Break Up With Him,” which is currently the No. 1 song on the Billboard Country Airplay chart. (November 6, 2015 – Nashville, TN) – Music icon Tim McGraw’s highly-anticipated 14th studio album Damn Country Music is available TODAY on Big Machine Records/McGraw Music. 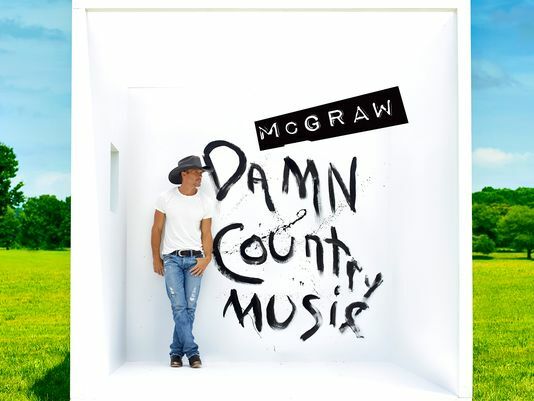 McGraw kicked off album release week with a live performance on Good Morning America from Nashville’s Bridgestone Arena on Wednesday and a national iHeartCountry Album Preview from iHeartMedia’s Nashville/WSIX studios on Music Row. 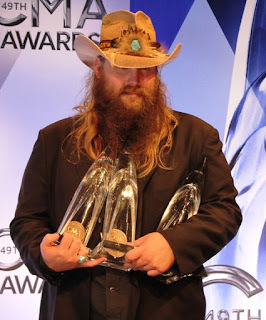 NASHVILLE – Chris Stapleton was the big winner during “The 49th Annual CMA Awards” as he went three for three, sweeping each category in which he was nominated. Hosted by Brad Paisley and Carrie Underwood from the Bridgestone Arena in Nashville, Country Music’s Biggest Night lived up to its reputation for riveting performances, inspired acceptance speeches, and collaborations that brought down the house as the industry audience rose to its feet with the announcement of every winner. Carrie Underwood Makes History With Storyteller #1 Debut! Nashville, TN – Seven-time GRAMMY®-winning superstar Carrie Underwood writes a new page in history books as her latest album Storyteller debuts at #1 on the Billboard Country Album chart! Underwood becomes the only artist in the 51-year history of Billboard’s Top Country Albums chart to have each of her first six albums debut at #1. Storyteller sold 177,000 equivalent album units (traditional album sales, track equivalent sales and streaming equivalent albums combined), with pure sales in excess of 164,000, according to Nielsen Music. NASHVILLE, TN (November 2, 2015) – Broken Bow Records’ Dustin Lynch is proving to have one hell of a year, and the packed crowd at the recent celebration for his second consecutive #1 single “Hell Of A Night” reinforced his breakout success. Friends, family and members of the music industry gathered to toast Lynch at Nashville’s local bar SOUTH, where the rising new artist played his first-ever full band show, bringing the milestone moment full circle. NASHVILLE, Tenn., – November 2, 2015 – The Country Music Hall of Fame® and Museum hosted a special, sold out appearance by Luke Bryan on Sunday, November 1. The reigning ACM and CMA Entertainer of the Year discussed his career and performed a short acoustic set in support of the exhibition Luke Bryan: Dirt Road Diary, presented by Citi. The panel was hosted by Joseph Hudak, Senior Editor at Rolling Stone Country. Nashville, TN - Nov. 2, 2015 - CMA “Male Vocalist of the Year” nominee Dierks Bentley celebrated the 10th Anniversary of his Annual Miles & Music For Kids last night with a record breaking total of $636,479 raised for Monroe Carell Jr. Children's Hospital at Vanderbilt, marking the event’s biggest donation and almost $4 million raised for the cause to date. Kicking off CMA Awards week in full swing, thousands of bikers rode into downtown Nashville where Bentley was joined by an all-star concert lineup including Florida Georgia Line, Thomas Rhett, Cole Swindell, The Cadillac Three, Canaan Smith, Brooke Eden and emcee Storme Warren at the post-ride sold-out event held at Ascend Amphitheater.